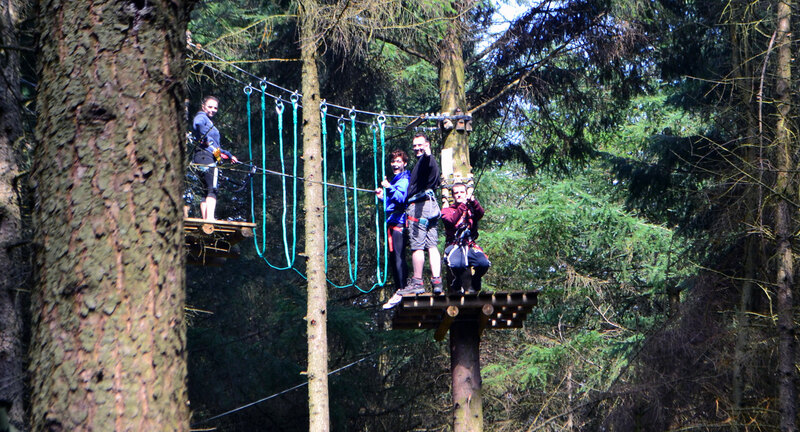 Welcome to Ireland’s longest TREE TOP ZIPLINE PARK! 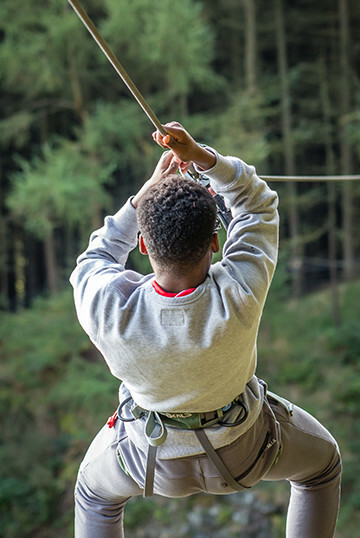 Zip Line through the forest on over 1km of Ziplines, with 15 separate Zip Wires and 18 Suspended Challenges some up to 45ft height! 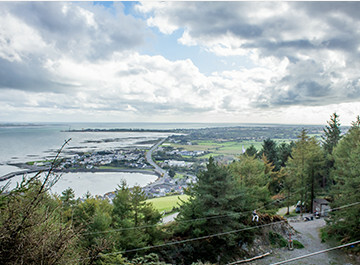 All whilst enjoying breathtaking views of Carlingford and the Mourne Mountains. 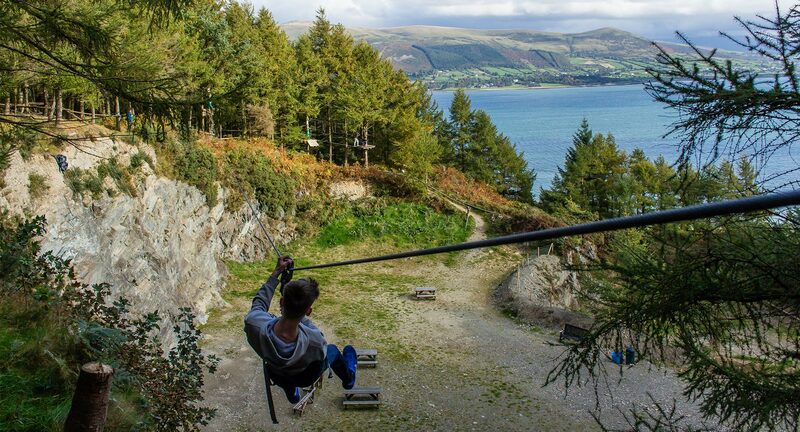 One of Carlingford Adventure Centre’s most popular activities. 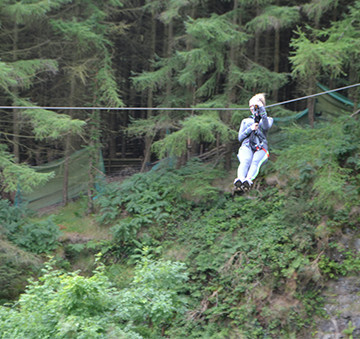 Take a tree top Zipline tour though the forest canopy on the side of the Slieve Foy Mountain and whiz over our quarry at heights of up to 60ft. 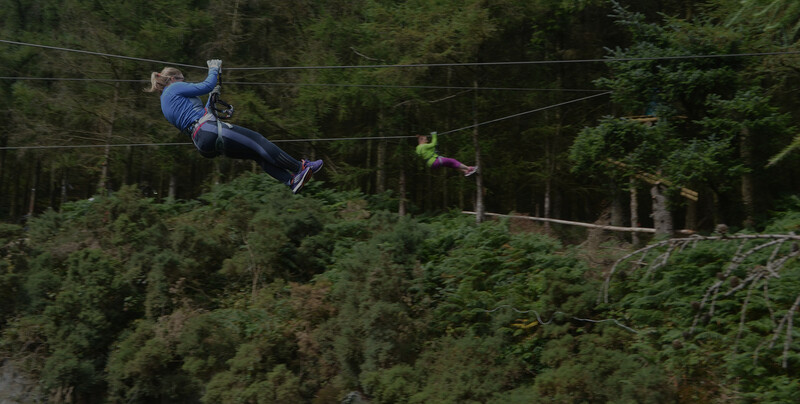 An exhilarating Zip Wire experience not to be missed in Ireland’s Ancient East. 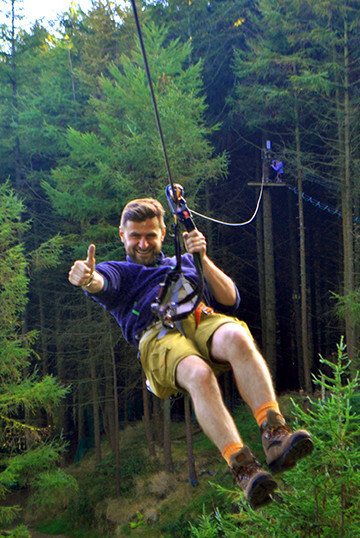 The course uses a state of the art belay system to ensure your safety at all times as you Zipline from tree to tree. Ziptopia is an AMAZING way to spend a few hours immersed in nature whilst getting great exercise. 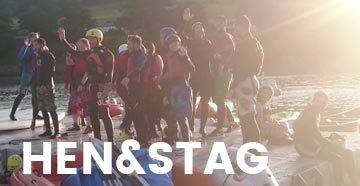 An ideal activity for groups, families and Team Building. 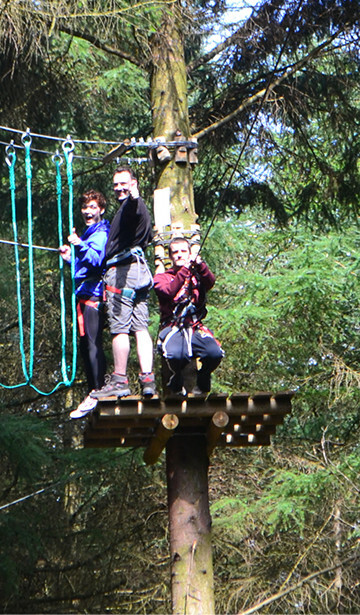 Zip Wires are the newest coolest way to get your adrenaline rush and are growing in popularity worldwide.  However some Zipline companies just offer long Zip Wires that are over in seconds and frankly are just not worth the hassle. 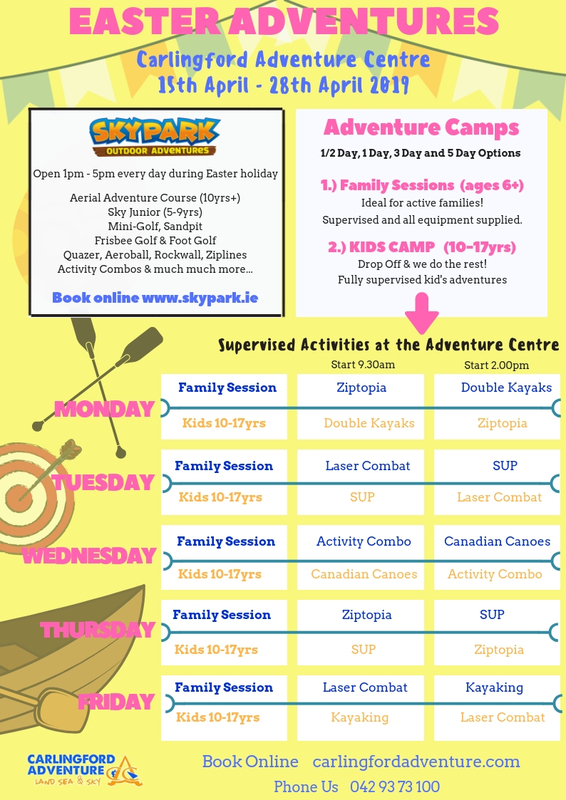 Carlingford Adventure have been around for 25 years and have used this experience to constantly grow and expand their facilities. 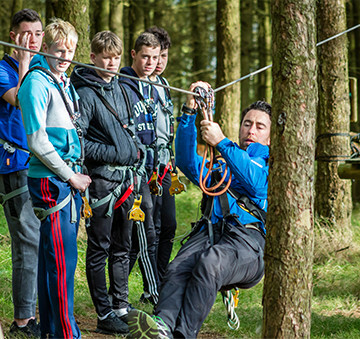 Thus they now offer the longest Zip Line experience in Ireland alongside Tree Top challenges which combine to make an unforgettable experience. 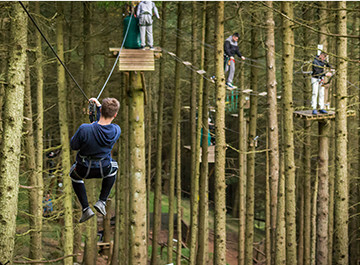 A 1km course through the trees, with 15 Ziplines and 18 suspended challenges. 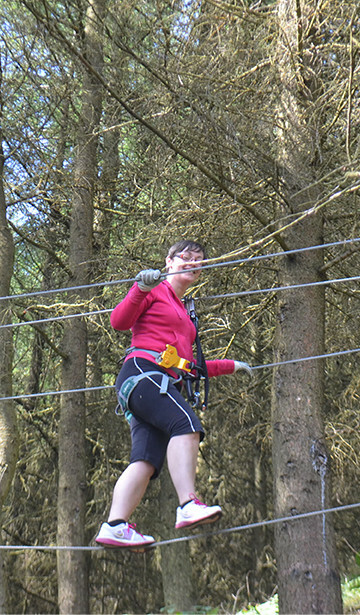 Some of the Ziplines are through trees and some are over our 45ft quarry!! 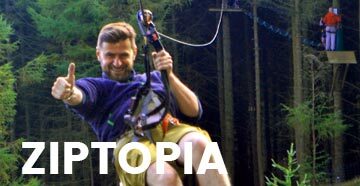 The Ziptopia Tree Top Zipline Park offers exercise and exhilaration, a real adrenaline rush amidst some of the most beautiful views in Ireland.